The journalist Martin Eichendorf has been imprisoned in the maximum security prison Werra I for more than two years. He has been the victim of a conspiration: As he wanted to unveil a scandal and knew too much, he got locked up for life. In spring 2017 however, he got the chance to escape - and used it. He is full of joy, but not for very long: As soon as he has escaped prison, he realises that he has been on an island in the sea all the time long. Eichendorf manages to set the authorities on a wrong track: While they assume that he has drowned in the sea during his escape, he indeed lies low on the prison island. He realises soon that an escape from the island is almost impossible. While in the beginning he was overjoyed as he has escaped the prison at least, soon he started to feel similar confined as he did in the prison cell. 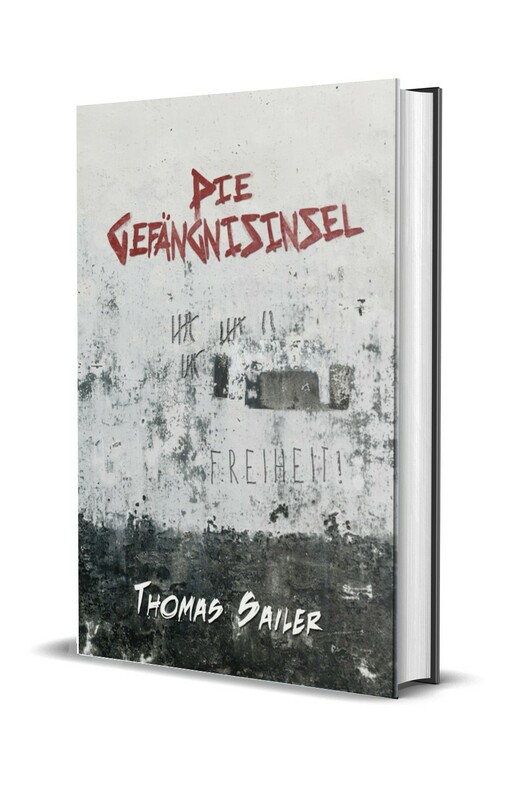 In this opus Thomas Sailer treats the topic freedom. What is freedom? How much freedom do we need? At which point are we really free? That is the kind of questions which Martin Eichendorf has to deal with while he is trying to recoup his life. Thomas Sailer had the sparking idea for his 5th opus back on January 21st 2017. Even though he was free, in some way he felt decidedly constrained in everyday life. He felt like a prisoner who might have escaped his prison, but was by far not safe from it. He visualised this thought and by imagining the situation of a prisoner who has escaped prison after long agonies but soon realised that he was on an island. This approach fascinated him so much that he absolutely wanted to note it down. While his initial idea was to write an article about this issue, he knew the same day that this would become his new book project.